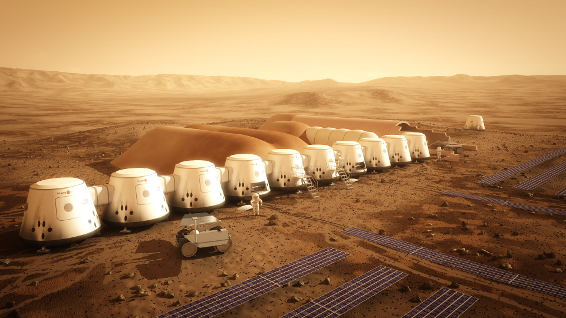 Mars One will establish a permanent human settlement on Mars. Crews of four will depart every two years, starting in 2024. Their first unmanned mission will be launched in 2018. Join the Global Mars One Community and participate in our mission to Mars. Could YOU go Live on Mars? If you were offered the chance could you leave everyone and everything you know and move to Mars? How Much is the Mars One Mission Costing? After discussions with potential suppliers for each component and close examination, Mars One estimates the cost of putting the first four people on Mars at six billion US$. The six billion figure is the cost of all the hardware combined, plus the operational expenditures, plus margins. Hell Yeah I’ll go to Live on Mars, Where do I sign Up? Before Jumping the Gun there are some criteria you need to meet. Mars One will conduct a global search to find the best candidates for the first human mission to Mars. The combined skill set of each astronaut team member must cover a very wide range of disciplines. The astronauts must be intelligent, creative, psychologically stable and physically healthy. On this page, Mars One offers a brief introduction to the basics of our astronaut selection process. In space flight missions, the primary personal attributes of a successful astronaut are emotional and psychological stability, supported by personal drive and motivation. This is the foundation upon a mission must be built, where human lives are at risk with each flight. Once on Mars, there are no means to return to Earth. Mars is home. A grounded, deep sense of purpose will help each astronaut maintain his or her psychological stability and focus as they work together toward a shared and better future. Mars One cannot stress enough the importance of an applicant’s capacity for self-reflection. Without this essential foundation, the five key characteristics listed below cannot be utilized to the fullest potential. Your trust is built upon good judgement. Your humour is a creative resource, used appropriately as an emerging contextual response. The astronaut selection program will be open for applicants who are 18 years or older. This is the age by which children become legal adults in most countries in the world. Mars One believes it is important that applicants who enter the astronaut selection program are capable of entering into a legal contract without the supervision of others. There is not an upper age limit to apply for the astronaut selection program. If the applicant enjoys good health and he or she has all the other characteristics needed for the mission he or she has what it takes to apply. In general, normal medical and physiological health standards will be used. These standards are derived from evidence-based medicine, verified from clinical studies. The standing height must be between 157 and 190 cm. Mars One accepts applicants from any country in the world. The official language, will be English. It is possible however, to enter the selection program without an extensive knowledge of English. Applicants can apply in one of the 11 most used languages on Internet: English, Spanish, Portuguese, French, German, Russian, Arabic, Chinese Mandarin, Korean, Indonesian, Japanese. As applicants progress through the selection procedure, requirements on their English skills will increase. For the second round of the selection program, selected applicants will meet a Mars One selection committee for an interview. For this interview, A2 English level (elementary) will be essential. Please check CEFR to get a good sense of what language abilities are expected. Mars One is a not-for-profit foundation that will establish permanent human life on Mars. Human settlement on Mars is possible today with existing technologies. Mars One’s mission plan integrates components that are well tested and readily available from industry leaders worldwide. The first footprint on Mars and lives of the crew thereon will captivate and inspire generations. It is this public interest that will help finance this human mission to Mars. For more information about Mars One, go to www.mars-one.com.